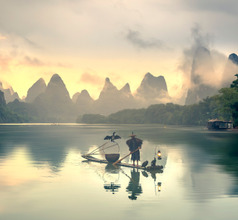 The city of Guilin is famous for its spectacular landscape of karst (colorful caves and rock formations) hills. 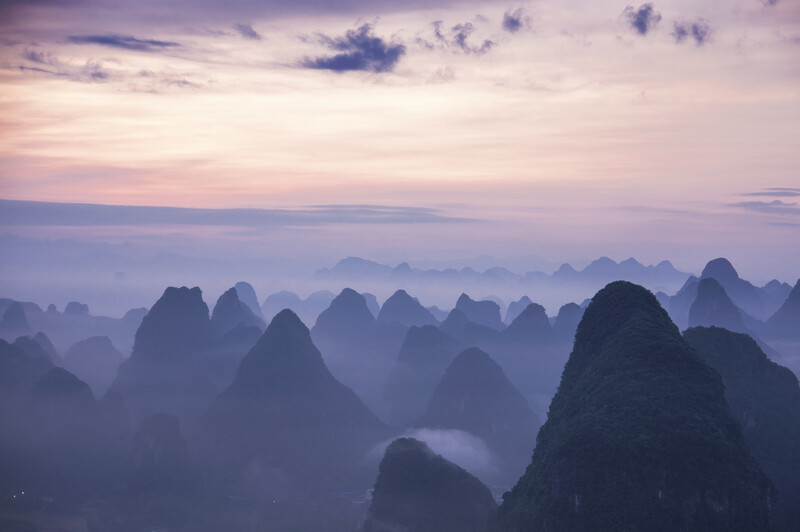 Located in the Guangxi Zhuang Autonomous Region in southern China, the city also boasts of picturesque lakes, ancient cultural relics, historic monuments, and dense forests. 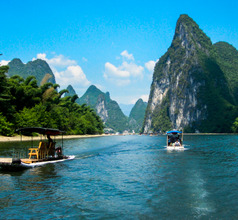 The fact that the Li River passes in the vicinity has rendered the city with lush greenery ranging from bamboos to conifers. 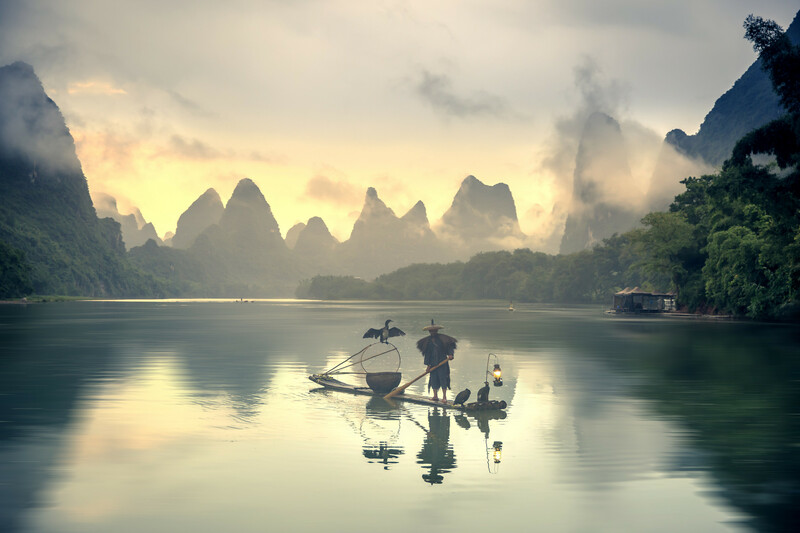 The mirror-like crystal clear waters of the lakes reflect the sheer beauty of the city, which factor is the driving force in making Guilin a popular tourist destination in south China. 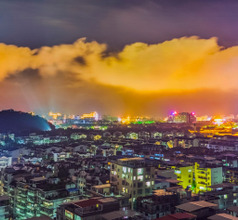 There are several other reasons why Guilin City has grown into a tourist hub in recent years. The rapid development of the tourism and hospitality sectors has also contributed to its popularity as a great tourist spot. 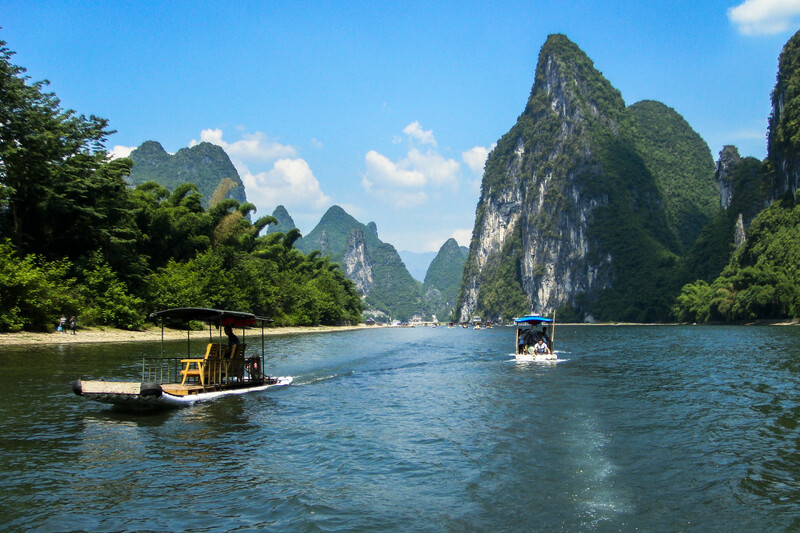 Besides organized sightseeing, some of the popular tourist activities include a river cruise, Li River Show (sound and light show), cycling tours, food tours, golfing, and spa treatments. 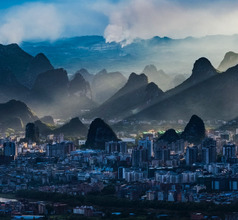 Guilin City has a long history of more than 2,000 years. 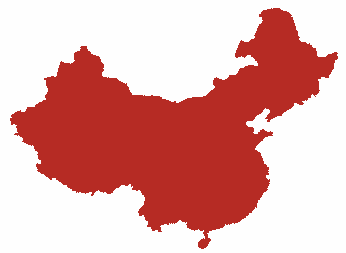 It was a major political, cultural, and financial power between the 10th and 12th centuries AD during the Northern Song Dynasty reign. The Li people (those who lived on the banks of the Li River) were and still are very artistic and talented as seen through their ancient-style folk art. The Li River Folk Customs Center has countless exhibits that showcase the traditional folk art, architectural style, handicrafts, food, and lifestyle of the Li ethnic group. A modern take on this ancient culture is that the cultural center also has dance and music performances for the benefit of tourists. 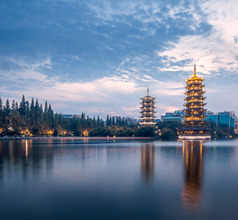 Guilin City has become one of the popular tourist destinations in China in recent years due to its magnificent landscape and charming blend of ethnic culture and modern development. There are several choices where accommodation is concerned. Some of the best luxury hotel brands have set base in downtown Guilin. They are aesthetically decorated and they offer various amenities to ensure that tourists have a pleasant and memorable stay. One can choose from 2, 3, 4, and 5-star hotels, low-priced hotels, inns, guesthouses, youth hostels, service-apartments, etc. The English language may cause a problem if one opts for the lower priced hotels but carrying a suitable dictionary or downloading a voice-based mobile translation app is a good solution. 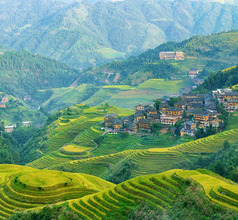 On the outskirts of Guilin City is the famous Longsheng Rice Terraces (Longji Rice Terraces). This region encompasses five ethnic villages that have vast rice terraces on hill slopes. The villages are surrounded by dense forest areas. The combination of natural greenery and manmade landscapes give the region a magical and surreal beauty that has to be seen to be believed! 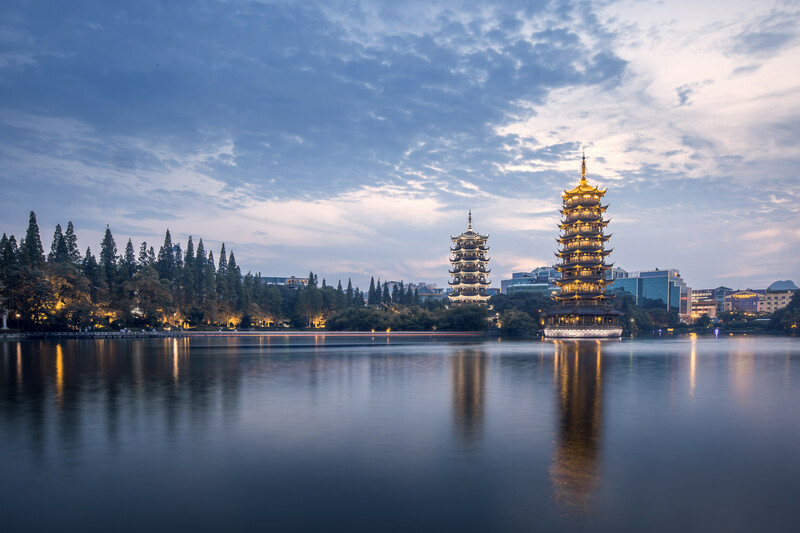 The Seven Star Park is another tourist attraction lying within walking distance from the center of Guilin City. It consists of a zoo where one can see endangered species like red panda, giant panda, snub-nosed monkeys, bears, tigers, and lions. It also has the mystical Seven Star Cave with colorful karst rock formations, stalactites, and stalagmites. About an hour’s drive from Guilin is the famous Reed Flute Cave. This site is 240 meters long and has the most spectacular, bright multi-colored karst rock formations. Some of the rocks have interesting shapes like birds, animals, etc. The tourism department has installed neon lights within the caves so that the full impact of the colorful stalactites and stalagmites can be seen. Within Guilin city limits there are several interesting tourist attractions as well. The Moon & Sun Pagoda, a gigantic world map (on the ground), and the massive artificial waterfall are the highlights of the 51,400 square meters Central Square. The best time to visit this site is in the evening. While the Jingjiang Prince City is a period-piece and is a smaller version of the Forbidden City of Beijing. It has exquisitely designed palace buildings and landscaped gardens. The Guilin Museum & Art Gallery has vast interconnected exhibition halls spread over three floors. The museum has numerous priceless exhibits like historical relics, Ming and Qing Dynasty porcelain, minority folk art pieces, and items obtained through the International Gift Exchange (non-Chinese items from foreign lands). Guilin North Railway Station is located around 5km north of the city center and serves many high speed routes including to Shanghai, Beijing, Guangzhou etc. Guilin Railway Station is located on the southern edge of the city center area and mainly serves low speed trains. Guilin's only airport is located around 28km to the west of city. It serves mainly domestic China routes, although there are a few international routes to Asian cities like Bangkok, Kuala Lumpur and Seoul. Guilin Liangjiang International Airport which is situated in Guangxi Zhuang Autonomous Region is a dual terminal airport, with terminal 2 opened in October 2018. Beautiful and modern, it has connections to all major cities and some international routes as well. The town center is 28 km away but can be easily accessed via airport shuttle (RMB20). Line 3 from Wanfu City terminal also goes there (RMB20). Taxi would cost more but takes only 25 minutes. The cuisine of Guilin City is a combination of Cantonese cuisine which is famous globally and the cuisine of Hunan Province located nearby. They use a delicate blend of spices and the dishes are usually sweetish rather than spicy. Steaming and stir-frying are the common processes used. They also use several wild animals and plants in their dishes. Oil tea is the famous beverage of Guilin City. Tea leaves are fried in peanut oil along with garlic, ginger, salt, and chili. The brew is then strained and the dregs are ground into a paste and added back into the brew. So it is more like a thick broth rather than a watery beverage. Some of the other special dishes are Lipu Taro and Pork Loaf, Stir-Fried Beef With Bamboo Shoots, Stuffed Li River Snails, Steamed Li River Fish, Yangshuo Beer Fish, Gingko stewed with Old Duck, Chicken and Gecko Stew, Lotus Leaf Braised Duck, Guilin Rice Noodles, etc. 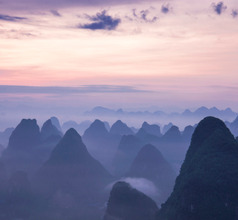 Guilin has short, mild winters, and long, hot, humid summers. Winter begins dry but becomes progressively wetter and cloudier. Spring is often rainy, while summer continues to be rainy though is the sunniest time of year. Autumn is sunny and dry.